Step 1 - First you will start by getting your seat post in position to slide down onto the fork post. 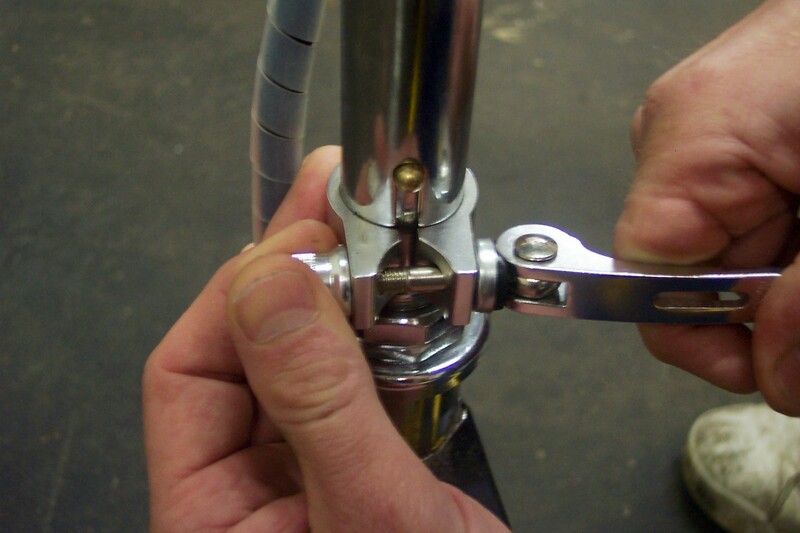 Make sure that the slit on the handlebar post and the button on the fork line up correctly. 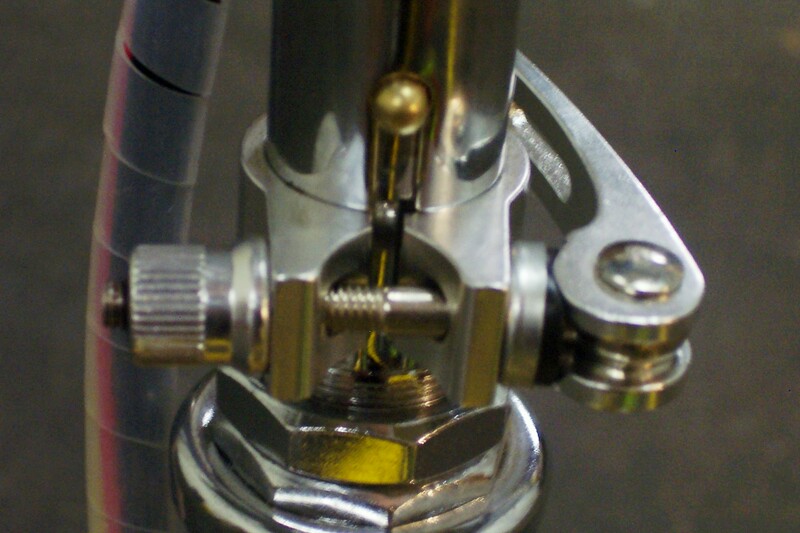 Step 2 - Slide the handlebar post down onto the front fork post and push the lock button in while sliding it down. Slide the handlebar post down until you hear the button click into place. Step 3 - Now you will slide down the handlebar post clamp. Push the button on the fork post once again and slide the clamp over the top. 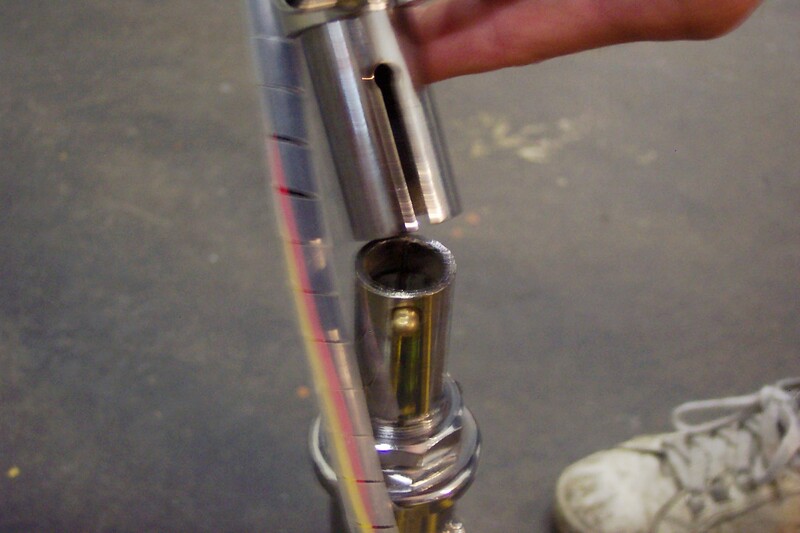 Slide the clamp into place like shown in the photo. Make sure that the gap of the clamp lines up with the gap on the posts. Squeeze the clamp and you are done.